Looking back, most people don’t know the day their lives changed forever. Russell Warriner, a 64-year-old veteran and resident of Old Orchard Beach, will look you in the eye and tell you that for him, that day was February 4, 1968. Warriner was born to working-class parents in the town of Williamsburg, Mass. He went to the local trade school and had ideas of working after graduation as a mechanic on heavy equipment of some sort. But by the time he left school, the country was at war in Vietnam and things were heating up. The local recruiter for the Army told him he could work on tanks or other heavy equipment, but if he worked on helicopters, there was a good chance would be assigned to a rear base unit. “That sounded good to me,” said Warriner. Warriner took the necessary exams and passed the physical that would allow him to enter the aviation section of the Army. His basic training took place at Fort Gordon, Ga., and then it was on to Fort Rucker, Ala. where he was certified by the Army as a helicopter mechanic. The next stop for the now 19-year-old Warriner was Vietnam. On Dec. 11, 1967, his birthday no less, he was given the designation of crew chief and assigned to a specific helicopter. He was part of a “huey” crew that regularly flew wire-guided missile missions throughout the jungle, and his job was to man the m-60 machine gun and protect his ship as it sailed through the night sky. 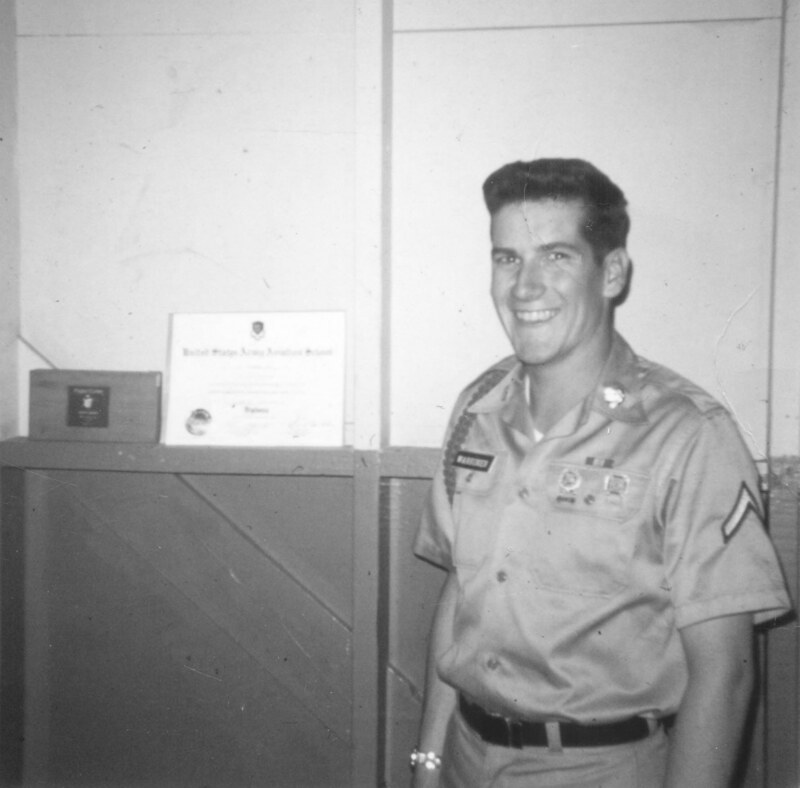 He was a 20-year-old crew chief and door gunner for a helicopter crew in Vietnam. There were only three men in his crew, two pilots and a crew chief, and the chief was responsible for the maintenance on the helicopter. Warriner said that at 100-hour intervals he would routinely take his “bird” out of service for inspection, and in February 1968, he needed to inspect the aircraft. The TET offensive started late in January 1968 and Warriner’s unit was considered a “hot section”. If they received orders, they had to be in the air within two minutes. On Feb. 4, Warriner took his aircraft out of service and the two pilots he normally flew with were temporarily assigned to another helicopter. They were both good pilots and like brothers to him. If needed, they would fly with another crew chief while Warriner inspected their ship. Warriner said he had just removed the inspection plates from his aircraft, when the horn signifying an alert pierced the air. The turbines on the replacement helicopter immediately spooled up and, with a screwdriver in his hand, he watched his friends take off without him. Warrant Officers Ronald Fields and Michael O’Connor flew the away from the base and into harm’s way. Warriner’s two friends, and the replacement aircraft they were commanding, had taken fire from the enemy and the crew was now missing. Because the battle that raged on, Warriner and his unit were not able to find O’Connor and Fields, and it wasn’t until several days later that they were able to locate the aircraft. “It was resting on its side,” Warriner said quietly. “Fields and the enlisted men were found onsite, dead, but O’Connor was missing,” he said. According to Warriner, the infantry found tracks leading away from the downed aircraft and he knew O’Connor had been taken as a prisoner of war. He stopped speaking for a minute and looked out toward the trees behind his home. O’Connor spent the remainder of the war as a prisoner of the North Vietnamese and was released with the other prisoners of war in 1973. Warriner has not seen his friend since the day he left on that mission in 1968. “I have spoken to him a few times, but I haven’t seen him,” he said. This September, he just might get the chance. 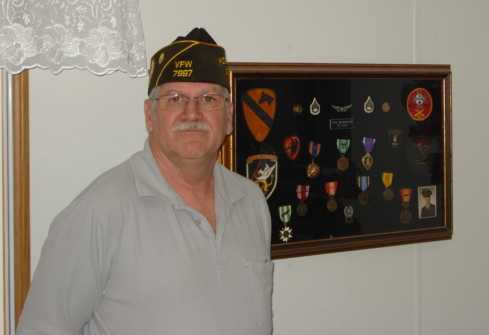 Today Warriner serves as the chaplain for the VFW in Old Orchard Beach. He and the other members are organizing a POW/MIA recognition day, and it will take place Sept. 21-23. The town is allowing the group to hold their recognition event at the ballpark and they hope to have 5,000 people there during the weekend. Warriner and the VFW have spoken with local politicians and veterans groups and he hopes to raise both awareness and a significant amount of money. “All of it is going to the Wounded Heroes project,” he said. “They promised to keep all of the money in state.” He continued to say that it was important to him that they help the veterans here who need some type of assistance. “Sometimes they are just to proud to ask,” he said. Warriner also mentioned there may be a special guest arriving for the weekend, his friend Warrant Officer Michael O’Connor.